Previously in Ask Your Host: 15 Fundamental FAQs (Part 1), we learned to ask hosts (in general) the right questions before deciding to subscribe to a hosting company. In this post(Part 2), you’ll continue learning to question critically to help you make better, wiser decisions. Q8. What are the security measures and data back-up protocols for your server? Imagine losing all your database-customer profiles, mailing lists, crucial files, music, videos, all these disappeared. Your efforts too, gone. The importance of protecting your data is out-of-the-question. Realizing the importance of data as a growing asset to small businesses and big companies alike, many data centers are taking security measures and back-up protocols as serious matters. AIMS data center, for example, provide an excellent backup and disaster recovery measures by incorporating CloudbyAIMS into their services. Supported by a cloud server, you can be rest assured that your data is at safe hands. Not to mention, they are ready to give recovering consultancy and planning services when the worst befalls. Q9. What are the server upgrade protocols? From time to time, servers require software upgrades to maintain its topnotch performance. When subscribed to a managed hosting plan, your host automatically takes care of that. However, upgrades can take several hours to several days. Ask if your server will be able to function as normal, during the course of upgrades- that is to say without downtime. If the host pledges so, make sure to find out how is that done and during what time of the day-night. Knowing these can be helpful to give a friendly reminder to your web visitors so that they can expect when to come back again. Q10. What are the policies involved in changing your hosted server configuration mid-contract? Say for instance, your website monthly traffic has grown tremendously over the year and you began experiencing technical issues such as receiving customer complaints over slow load time and/or crashes. How can the server host assist you in such cases? Are you allowed to perform upgrades (e.g. disk space expansion, number of core CPUs increment, RAM add-on) on your server configurations in the mid of a contract? If yes, what are the terms and fees involved? If no, what does your host/customer support team suggest to solve the matter? Q11. What are the requirements to forfeit a hosting contract? Testing a server hosting company takes time. 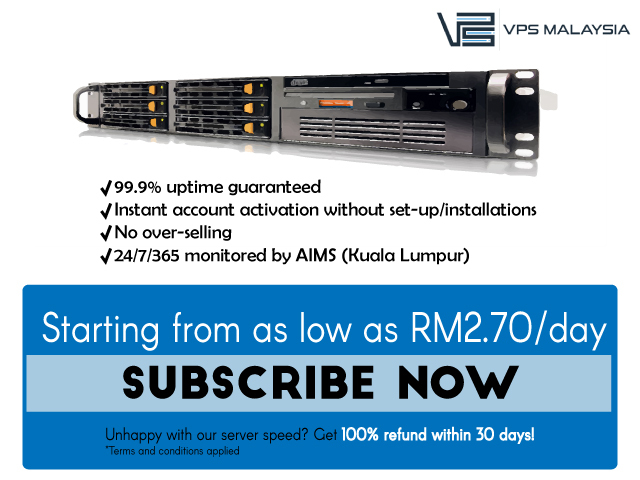 The factors that affect a VPS performance are numbered. Taking into considerations the variables that follow, many companies now offer free trials and/or 30-days-money-back guarantee. Forfeiting a service during a free trial is apparently no trouble, but how about forfeiting a contracted service? You need to be aware of the terms and conditions before setting out to cancel a contract. For example, are you required to give a notice (1 month or 3 months prior, perhaps)? Q12. What is the refund policy during a trial period/30-days-money-back guarantee? As mentioned earlier, server hosting companies often deploy FREE trial period/money-back guarantee as a marketing tactic to plant interests and confidence among clients. But, what lies therein this awesome freebie? Sometimes, customers will still be required to pay upfront before assigned to a trial account (especially during a 30-days-money-back-guarantee trial). However, the ultimate perk lies within the refund, in any case that you find yourself unsatisfied with the services acquired. Yes, so there is a refund. But to what extent? 100%? Or perhaps only up to a 70% refund? Policies imposed by different hosts could vary greatly. This said, your role is to find out exactly what the refund entails, in case of a forfeit. Q13. What does the setup/installation process require? So you’ve purchased a server (or currently hunting for one). Next on the list would be setting up the server. Hosting companies deploy different sets of process. But of course, the simpler, the better it is. Q14. Are there any limitations to the types of software you can install/run? Usually there will be no restrictions imposed on the types of software you are allowed to run on the server. However, just bear in mind that company policies are very different from one another (again). It is your job, as a wise consumer to protect your rights by expanding your knowledge about the company itself. That being said, make sure to ask your host if there are certain software prohibited. If yes, what are those, and does this restriction affect your initial objectives? If it does, you’re probably better off with a different host. Q15. What exactly are you getting at with the plan configuration? Sure thing, your package includes a 1GB RAM, 10MBps unlimited bandwidth and a 30GB RAID 10 disk space. But what do all the mean to you? How many email addresses can you have? How many domains and subdomains are included in your package? How does the configuration translate to real-time uses? Most importantly, what can you deploy with the server along with your goals/objectives? Treating data as an appreciated asset, we can see how important it is to understand the servers that house and protect your data. Similar to a library which collects and shares information in form of reading materials, servers store crucial information in form of intangible data. Not only is it crucial to comprehend how a server works, looking at different variables such as the ethics and services of the hosting company, reliability of the data center, the nature of your business/operation are just as important. A well-defined thought is sure to minimize loss and maximize profits.